A.S.S.T. 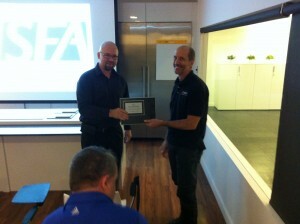 President Russ Berry accepts ISFA’s Innovator award. 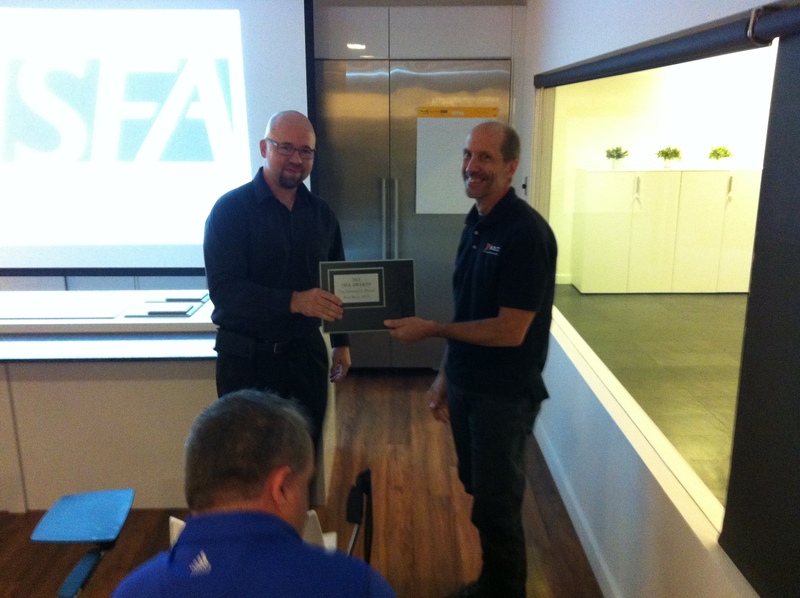 ASST President Russ Berry (pictured on right) accepting the Innovator Award at the 2013 International Solid Surface Fabricators Association (ISFA) Conference in Orlando, Florida. The Innovator Award is presented to the fabricator member firm or individual who goes outside the box and creates a product or system that enhances the life of the decorative surface fabricator. This entry was posted in Awards and tagged awards.